The Diamond Jubilee of Queen Elizabeth II was a multinational celebration throughout 2012, that marked the 60th anniversary of the accession of Queen Elizabeth II on 6 February 1952. The only other time in British history that a monarch celebrated a Diamond Jubilee was in 1897, when Queen Victoria celebrated hers. Commemorative events were held throughout the Commonwealth of Nations. Unlike the Queen's Silver and Golden Jubilees, when the Queen toured most of her realms around the world, Elizabeth II and her husband Prince Philip, Duke of Edinburgh, toured only the United Kingdom. Other parts of the Commonwealth were toured by her children and grandchildren as her representatives. 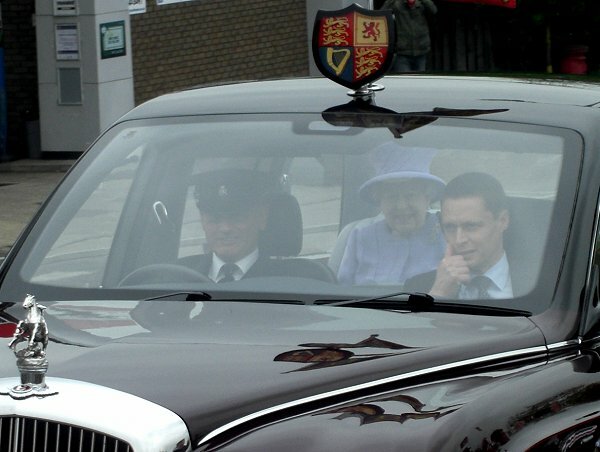 On 2 May 2012 Her Majesty visited Yeovil, arriving at Pen Mill station and then travelling along Sherborne Road, Reckleford and Queensway - the whole route being lined by crowds. 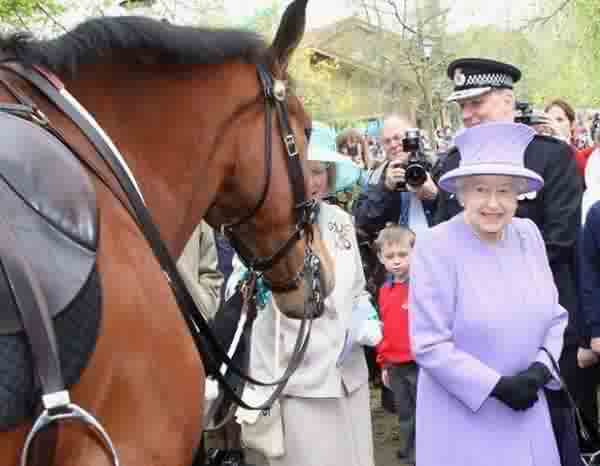 Several hundred people were at Nine Springs Country Park to welcome the Queen and Duke, who toured stalls at a Jubilee Country Fayre before being whisked off to Crewkerne. 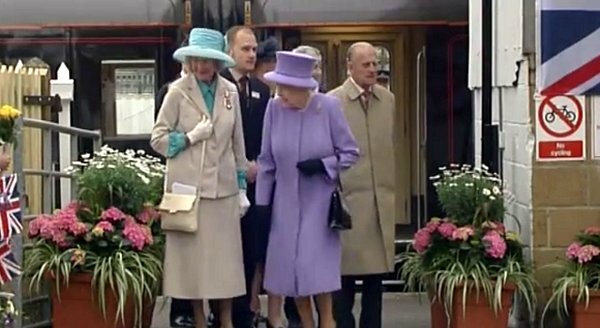 The Queen and the Duke of Edinburgh arrive at Pen Mill station. 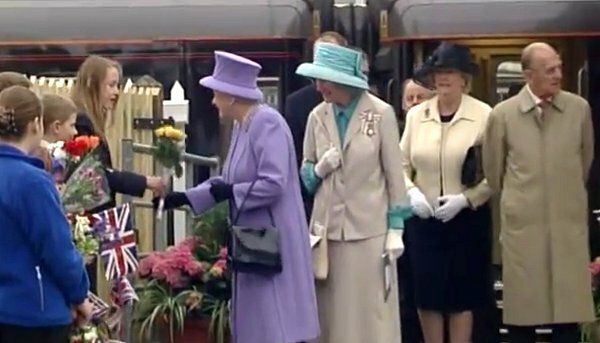 .... and Her Majesty is presented with flowers from schoolchildren while Prince Phillip apparently checks out the car park in front of the station. 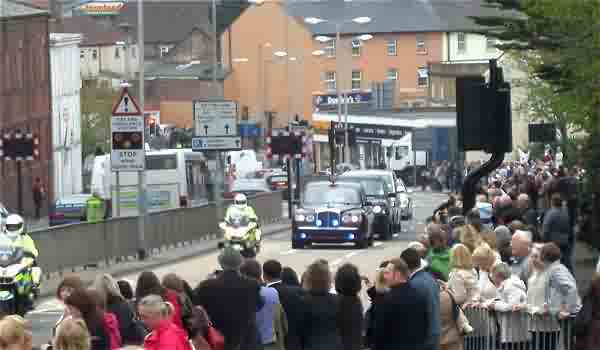 The Queen drives along Reckleford with police outriders, cheered on by a huge crowd. The Queen looked directly at me for this photograph and as soon as I put the camera down she waved at me. Yes, we all know she loves horses. Note Goldenstones in the background. Photographed on 2 May 2012. 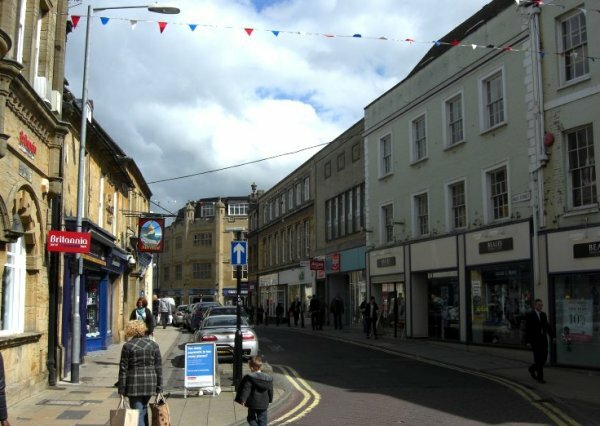 Fortunately the Queen didn't manage to visit High Street on her tour - she may have been disappointed with the efforts Yeovil had made in order to put up one string of bunting! Well done Yeovil. 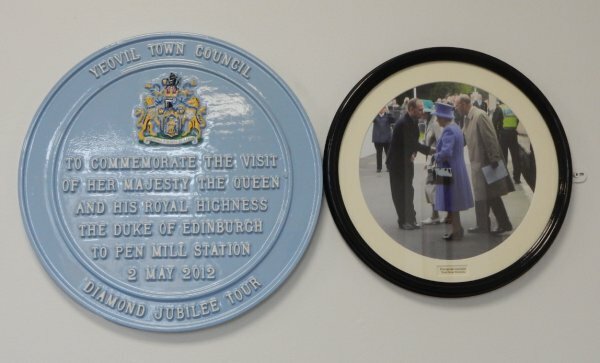 This Town Council's plaque and photograph commemorating the visit of the Queen to Yeovil is affixed to the wall in the Pen Mill railway station ticket office waiting area.